Buffer. A better way to manage your social media, as boldly claimed the product’s landing page. Let’s see what this tool can do: schedule posts, analyze performance, manage Facebook, Instagram, Twitter, LinkedIn, Pinterest, and Google+ accounts. Later. A #1 marketing platform for Instagram, say its creators. It allows you to visually plan and schedule Instagram posts, as well as auto publish for Instagram business profiles. Helps organize your photos and create a prettier feed. TweetDeck. Quick show of hands – who remembers TweetDeck from before it was acquired by Twitter Inc.? The tool proved to be so popular that the very platform for which the client was originally developed for decided to invest in it. The product is basically your Twitter feed, but for multiple twitter accounts – on the same deck, duh. Pretty efficient. SocialOomph. Ever tried to delete all of your tweets? Quite a hassle to do this manually, SocialOoph can do that for you, as well as run up to five Twitter accounts and save and reuse drafts. Facebook, Pinterest and LinkedIn features are paid, as well as social media updates submission via email. Friends+Me. It allows to schedule your social media content and post it to Facebook, Google+, LinkedIn, Twitter, and Tumblr. It works on desktop, as a mobile app and there’s a browser extension. Integration with Zapier is in beta at the time of writing. Crowdfire. Crowdfire helps you discover and schedule content, as well as manage social accounts on Facebook, Twitter, LinkedIn, and Instagram. You can also get hashtag, article and image recommendations, as well as curate content from your own blogs, YouTube videos and Shopify/Etsy shops. Hootsuite. Probably one of the hottest scheduling tools around – with your free account you can manage 3 social profiles with option to schedule 30 messages at a time to post automatically throughout the day or week. ScoopIt. “Scoop” content and share it to socials along with your own original content. In the free account, you can create up to 50 scoops within your selected topic (one per ScoopIt account). Get a browser extension to make scooping links faster. Displaypurposes. Type a hashtag or two in the search box to get relevant hashtags for your Instagram post. The tool filters out banned and spammy ones, and what’s really cool – it offers relevant hashtags in several languages for your international audiences. Google Keyword Planner. Search keywords to find out average monthly hits for the keyword and dozens of similar searches. The tool shows you how competitive a keyword is and what other relevant keywords you can use. You can search within customizable time slots. Answerthepublic. Enter a topic or a keyword you’d like content recommendations for, wait a few moments and voila – a neat, mandalaesque graph wheel with popular questions for the topic will appear on your screen. Keyword Tool. Search through keywords popular on Google, YouTube, Bing, Amazon, eBay and App Store. For Google, you can scan keywords for all searches, just image searches, just videos, or just the news. For Amazon, search within all or any individual department. Meta Tag Extractor. BuzzStream’s tag extractor will extract page title, description and keywords from any given URL. Enter multiple links to get a neat table and compare meta descriptions, tags and keywords. Keyword Eye. This tool provides detailed keywords for your content with PPC comparison score and search volume numbers. The service offers a handy auto suggest of topic keywords for Amazon, Google and YouTube. Download reports in .csv. SpyFu. Enter competitor’s web address and get an instant report on their reach, organic keywords, organic competitors and more. Click on organic keywords to get detailed report – stats on the top five are free, the rest is locked under paid plans. Ubersuggest. Find keyword ideas, get search volume, CPC and competition rates. Filter results by searching for target words or excluding unwanted terms. Search categories include web, image, shopping, YouTube, and news. Copy your results or export to .csv. Moz. Explore keywords, links and on-page metrics with Moz’ free SEO tools. Use 20 free keyword idea queries per month, 10 for links and install Moz SEO toolbar that gives you instant metrics while viewing any page, including search result pages. Expertise Finder. Wanna be featured in the Wall Street Journal, The New York Times, Bloomberg or The Economist? Want your quote to make it on CNN or the BBC? Expertise Finder claims the outlets are searching their engine, so join as industry expert as long as you have an academic title. GlobalExperts. This service allows you to nominate an expert or self-nominate and receive requests for comment or analysis from top media, including Reuters, CNN, the BBC, the Wall Street Journal, and more. Smedian. The tool helps you attract new writers to grow your publications as well as find publications to grow your audience. Chat, start a discussion, contribute to publications to get the word out about your company or brand. Hemingway App. Highlights lengthy, complex sentences and common errors in your copy to help you remove verbiage and difficult to comprehend sentence structures. It highlights difficult to read bits, weakening adverbs, and passive voice. Coschedule Headline Analyzer. The analyzer evaluates overall structure, grammar, and readability of your headline, determines common and uncommon words, categorizes your headline by type (generic, list, how to, time) and performs length analysis. Grammarly. This tool checks spelling, grammar and punctuation in your text. It provides useful insights, like character count and readability score, as well as the recently en vogue “reading time” and even “speaking time”. Reading time for this post? 10 minutes 2 seconds. MailChimp. The tool allows you to create and publish email campaigns, landing pages, pop-up forms, as well as automate your marketing emails, for example, order notifications and product recommendations. SendGrid. This email management tool helps you build and send marketing campaigns, keep client libraries, perform A/B testing and track results. Other useful features include contact segmentation by interests and categories, as well as flexible template editor. Beefree. This fast email builder allows you to choose an email template and design your message for both desktop and mobile users. You can start creating your email from scratch or use professionally designed templates for various types of email. Neverbounce. The service verifies email addresses on your mailing list and along with a number of paid plans offers free list analysis and a thousand monthly API verifications. It identifies valid vs invalid email addresses, differentiates temporary emails and catchall boxes. Mail-tester. The tester provides you with an email to send your message to and returns analysis result for the “spamminess” of your message. Get a SpamAssassin score, your authentication status, improvement recommendations, broken link alerts and blacklist status. Streak. Streak’s free plan for personal use includes basic CRM features, email tools and 200 tracked emails per month. Once you install this browser extension, your Gmail inbox get a number of additional tools built directly into the interface of the page. Hubspot Email Signature Generator. This tool will help you create a neat email signature complete with your photo and social media icons. Populate the form with your contact information, upload your photo and choose one of the 8 available themes. Putsmail. The service allows testing of an HTML email before you send it to your recipients. Enter up to 10 recipient addresses, your subject line and your HTML. Optionally, include a plain text version of your email, as well as a version for Apple Watch. Contact Form WPForms. This WordPress plugin allows you to create a contact form for your WordPress website in minutes. The tool offers customizable templates to create simple contact forms, request a quote forms, forms for donations, billing/order, newsletter signups and more. Share Link Generator. The generator creates Facebook share links, Twitter “tweet this” links, Google Plus share links, LinkedIn share links, Pinterest “pin this” and email “mailto” links. The generated URLs will work even inside emails. FreshMail. Create email campaigns and autoresponders, get reports, manage subscribers. The service’s free trial account is valid for 30 days and allows you to upload up to 100,000 email addresses and send up to 1,000 emails during your trial period. Crello. This online graphic editor offers thousands of professionally designed templates for social media posts, illustrating your webpages or a blog, as well as advertisements or print marketing materials. Notably, the tool has a collection of stunning animated templates. Wix. Create a website using Wix templates. The service offers ready website designs for business, online stores, photography, video, music, design, restaurants, tourism, events, portfolio, blogs, forums, and much more. You can even use templates for landing pages. Freelogoservices. Generate a logo with this free logo maker – enter your text, select an industry and browse generated designs. Pick the logo you like, customize the image by adjusting fonts, colors and location of the items within the design. Animoto. Use this video editing tool to design your video content into stylish video clips. Use ready-made storyboards, add music, filters and text to your raw video footage. The service allows adding logos or watermarks to the video, as well as subtitles. Venngage. Present your data and tell stories with Venngage infographics templates. Some of the infographics the tool can help you create include informational, statistical, process, geographic, timeline, comparison, list, and tutorial. Google Fonts. The service helps you choose a font for your project or design in minutes – choose between 888 font families, search by font thickness, slant and width. Filter fonts by categories: Serif, Sans Serif, Display, Handwriting, and Monospace. WhatFont. This browser extension helps identify fonts on the web pages you visit, their size, color, line height, weight, style, and family. Simply hover over the font you are interested in on the page and get the result. Tiny Png. Drop your .png or .jpg files onto the page to compress your files. You can optimize up to 20 images, max 5 MB each. The tool uses “quantization” technique that aims to compress files that look great in side-by-side comparison. Iconfinder. Find icons for your designs. Select between colored and monochrome icons in 60 categories and 12 styles, including glyph, outline, flat, photorealistic, 3D, hand drawn, cartoon, pixel, smooth, badge and more. DeGraeve. Get color palettes that match your image – insert a URL of your picture and get a coordinated color palette for your website, marketing materials or social media posts. The service returns two sets of color palettes for each image you enter. Hubspot CTA template pack. Download the pack of 50 customizable call-to-action templates, inspiring examples and a free beginner’s guide to create CTAs for your website, landing pages, emails, and more. PlaceIt. Use the service to make mockups for how your image will look like on apparel and in print, as well as digital devices. Select a device, upload your image or insert a link and see a realistic screen mockup. FollowerWonk. The service allows you to search bios of Twitter users, compare several accounts, discover relevant niche tweeters, analyze followers and users an account follows, as well as track and sort followers. Feedly. Create feeds of relevant content, organize your favorite publications, blogs, YouTube channels, and RSS feeds. Set keyword alerts, share articles you like on social media and collaborate with teammates. Hubspot Blog Ideas Generator. Enter up to five different nouns and get cool blog topic ideas in a neat slideshow. Google Scholar. Use Google’s search engine that indexes scholarly literature to find relevant research on any marketing topic. The service focuses on the most peer-reviewed online academic journals, books, and papers. Portent. Portent’s title maker is a fun tool to get ideas for an article or blog post title. Enter keywords and get a title, which you, admittedly, might have to edit to fix grammar mistakes. We are completely floored by the one generated for this guide: 8 Unexpected Ways Free Marketing Tools Can Give You Better Hair! Content Row. Use the service’s link bait generator to come up with irresistible clickbait titles for your content. Enter your keywords and generate 25 impossibly baity titles, like 8 Deadly Uses for Free Tools to Do Your Own Marketing. Latest is. The tool provides an automatic list of 10 most popular links on Twitter compiled in real-time. The service has buttons to help you instantly share content on your Facebook and Twitter pages. Alltop. This news aggregator has a simple interface that allows you to check out the day’s headlines at a glance. Hover over a headline to get a snippet of the article’s content, add RSS feeds from your favorite websites. Google Trends. Explore searches across the globe – search for specific keywords, check out latest stories and insights, as well as all the trending searches in any region. The tool offers interesting aggregated data in its Year in Search section with the archive dating back to 2001. Trello. This simple platform allows you to quickly organize work projects, individual tasks and plans in an intuitive interface. Free and flexible, the tool helps you manage any project in collaboration with anybody. Station. “Web browsers aren’t designed for work,” says the promo for the platform. It invites you to fit all your web-applications into one smart workstation and combine apps to save time, search everything in one go and receive all the timely notifications. Slack. Small teams can use Slack for free to organize their work, share files, manage apps (up to 10 in the free plan), create public and private channels, as well as make one-on-one voice and video calls. Uberconference. Use this service to make conference calls with up to 10 participants for free, share screens and documents, record calls. Sign in, add your company name, phone number, upload your photo and start calling! Hellosign. This workflow assistant helps you fill in and sign documents directly in Google Drive. The cloud-based tool allows electronic signature implementation and use for your business transactions. Dropbox. The service offers cloud storage, file synchronization, and personal cloud with Dropbox Basic account. It’s free and comes with 2 GB of space. Download free apps to access Dropbox from your computer, phone, or tablet. Evernote. Store and share information quickly and securely using this popular notes app. Take notes, keep a journal, manage projects, and create to-do lists – the service’s basic plan allows you to jot down ideas, capture inspiration, organize files and share content with others. Cyfe. Monitor and share vital business data in real time using this cloud-based all-in-one business dashboard. The service assists with data collection, helps create reports and distribute them. Embedsocial. Embed photo albums from social media, Instagram Stories or your company’s reviews directly into your website. Use the service for free for up to 10 albums. Your embedded photos are updated every 24 hours. Facebook Debug. Official tool by Facebook shows you the data used to create a Facebook or Messenger post whenever they are shared by users. Paste the link into the debug field and hit enter to get the analysis and preview of the post. Tweriod. The tool analyzes both your own tweets and those posted by your followers to determine the best times for you to tweet in order to reach your target audience effectively. The free plan allows to include up to 1,000 of your followers in the research. Mustbepresent. Get a free social media engagement report by one of the social media management industry leaders Sprout Social. Gauge your brand’s social media responsiveness and compare yourself against industry benchmarks. Likealyzer. Analyze your Facebook page performance, provide recommendations, compare your page to competitors, partners and brands you admire. Get recommendations of similar pages to watch. The tool converts raw Facebook analytics into an on-demand report. Fanpage Karma. Free for one page, this tool will provide Facebook KPIs and benchmarking graphs for your posts. It helps monitor search terms and mentions and will send you alert emails. Barometer. Agorapulse Facebook Page Barometer provides post insights – percentage of fans reached, engagement rate, share of people talking about the post, and the amount of negative feedback detected. The tool also calculates monthly organic and viral reach. SharedCount. This simple tool shows how many Facebook shares your website has, as well as the number of Pins and Stumbles (you probably won’t be needing that bit of stats anymore though, since StumbleUpon has shut down this past June, bonus tip though – StumbleUpon’s moved to Mix, which allows you to share and curate content). BuzzBundle. Geared to support your SMM, the tool helps manage social media, find online conversations about your company or products and engage with your audience. It allows you to publish posts directly from the interface and explore your brand mentions. Screaming Frog. Screaming Frog’s SEO Spider crawls websites to evaluate onsite SEO. It taps websites’ links, images, CSS, script and apps like a search engine and analyzes results. Find broken links, duplicate content and generate XML sitemaps. Peek. The service instantly analyzes any SEO issues on your website, highlights mistakes and offers insights to help optimize your content and improve website usability. The analysis takes just a few minutes. Google Search Console (previously Google Webmaster Tools). Another useful tool from Google helps you measure your website’s traffic and performance, identify and fix issues, as well as improve your Google Search results ranking. SEOquake. This SEO toolbox is a browser extension that provides web page SEO analysis on the fly. The tool compares domains and URLs in real time, examines internal and external links, performs SEO audit. Serprobot. Check your search engine ranking position with this free tool. The service allows you to find your website ranking position in real time for select keywords. Enter up to five keywords and check the ‘I’m not a robot’ box to get your results. Segment. Track users on your website or app – up to 1,000 monthly tracked users are included in the free account. Use the tool’s debugger to view live data passing through the service to test your tracking code. Copyscape. Search for copies of your page on the web – enter your page URL and see if there are any copies of your content online. If you content has been duplicated on another website, the tool will provide a link and highlight the identical content. Seochat’s Advanced Meta Tag Generator & Google Search Results Preview. The tool helps you extract page title, keywords, subject, robots, page language, and even the author’s Google+ profile. Google’s Mobile-Friendly Test. Determine how mobile-friendly your website is with this simple SEO tool from Google. Enter a URL and run the test. If there are any loading issues, the tool will provide a detailed overview of the errors. Mixpanel. Core analytics for your website. Free plan includes 5 million data points per month, 5 projects, limited core reports, 60 day data history, and allows up to 3 members per project. SimilarWeb. Measure and track your digital market share with the multi-device market intelligence from SimilarWeb. The free plan includes 5 results per metric, 1 month of mobile app data and 3 months of web traffic data. GTmetrix. This tool analyzes the speed of your website and provides useful insights to help make it faster. Find out how well your website loads and get actionable recommendations to optimize it. Pingdom. Use this free speed test to determine load time for any page, its rank against other tested websites, your page size and performance grade. The tool provides performance insights, categorizes content size and requests by content type and domain. Varvy. This SEO tool helps estimate how well a page follows the Google guidelines. Enter a URL and see reports on Googlebot access, mobile devices, security, accessibility, page speed, robots.txt guideline and more. WebPageTest. Enter website URL, choose test location and browser, adjust advanced test settings and get results. Get comprehensive performance results, including load time, first byte, speed index and more. Website Grader. The tool grades your website by performance, mobile compatibility, SEO and security. The report includes page size, speed and HTTP requests recommendations, as well as evaluates browser caching and page redirects. Google Developers PageSpeed. Get separate insights for mobile and desktop regarding page load speed and SEO complete with optimization guidelines from Google Developers PageSpeed. Siteliner. Find duplicate content and broken links, estimate the amount of pages skipped by search engines and find out the shares of common and unique content on your website. Compare your average page size, load time and number of words per page with other websites. Sumo. Register with the service to get an HTML code to install Sumo on your website. Get free weekly analytics and use a free account for under 200 subscribers complete with basic email integrations and pro design tools. Hubspot CRM. Use this free CRM to manage contacts and company insights, keep company records, track meetings, schedule emails and more to help build deeper relationships with contacts and customers. Freshsales. The free forever plan of this sales CRM offers leads, deals, contacts, and accounts management tools, email services, built-in phone, a variety of useful integrations, mobile apps, and more. Zoho CRM. Zoho CRM free version is open for businesses with up to 3 free users and helps manage leads, documents, mobile apps and more stuff to help your small business get on its feet. Mentionmapp. Join as a free member and explore your mentions on Twitter – get mention and retweet maps, filter hashtags, see what’s trending and discover suggested Twitter users in various categories for you to follow or mention. Awario. This online tool shows online conversations about your business in simple graphic charts, compares your performance to competitors and provides handy email updates. Track your brand mentions, compare the results to competitors, get reports, and find leads. Google Alerts. They aren’t just for ego stroking – set alerts to your brand name to track conversations on the web, in blogs, the news, books, video and more. You can limit the results by region and language. Twitter Report from Union Metrics. This tool provides a quick snapshot of any Twitter account, hashtag or keyword reach and exposure. Discover the most retweeted tweets about an account, hashtag or keyword, as well as top contributors to the topic. 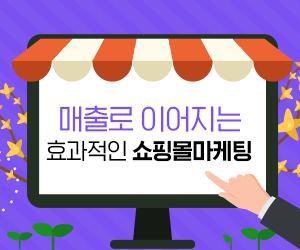 지금 이 글은 Justdoit 보스님의 아이보스 인기 게시글입니다. (추가) 늘 보스님을 생각하는 당첨대쓔의 3월 응모 이벤트 선물은? !